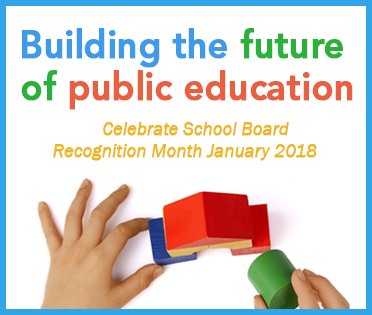 Governor Jay Inslee has proclaimed January as School Board Recognition Month. This marks the 23rd year of the annual observance initiated by the National School Boards Association in 1995. At its regular board meeting on January 9, the Ridgefield School District recognized the dedicated service of its school board. Honored were school board members Emily Enquist, Becky Greenwald, Scott Gullickson, Joseph Vance, and Steven Radosevich. The district joins the Washington State School Directors’ Association, Association of Educational Service Districts and the broader education community in the state of Washington in recognizing the tremendous service provided by its school board. Guided by state and federal laws, the board provides direction for the district by setting policy, monitoring goals, and approving the annual budget. In total, Washington’s school directors govern districts serving 1.1 million students, with a combined annual budget of approximately $15 billion, employing about 120,000 people.